New York, NY – The New Ohio Theatre proudly presents the World Premiere of The Eyes of Others, a rare production of a Bulgarian play in the United States, written by Bulgarian native Ivan Dimitrov, directed by Samuel Buggeln, translated by Angela Rodel and produced by Bug Company. 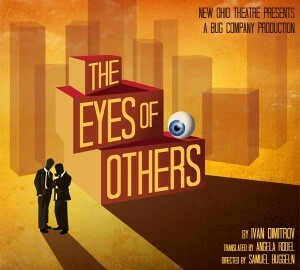 The Eyes of Others, which kicks off the New Ohio Theatre’s 2012-13 season, features an ensemble that includes Michael Frederic (No Meat, No Irony at Ohio Theatre, The Sky Over Ninevah at HERE), Danielle Skraastad (All My Sons on Broadway, The Intelligent Homosexual’s Guide… at the Public Theater, Lidless at Walkerspace), Zoë Winters (4000 Miles, Hater at Ohio Theatre, Mauritius at Magic Theatre) and Evan Zes (Victoria Musica with LAByrinth Theatre Co., Man and Superman at Irish Repertory Theatre). The Eyes of Others runs from September 6 – 29, 2012 in a limited engagement at the New Ohio Theatre, located at 154 Christopher Street between Greenwich and Washington Streets in New York City. Previews begin September 6 for a September 8 opening. Performances are Wednesdays-Saturdays at 7:30pm with an additional performance on Saturday, September 29 at 3pm. Tickets are $18 for adults and $12 for students/seniors and can be purchased online at www.NewOhioTheatre.org or by calling SmartTix at 212-868-4444. For more information visit www.NewOhioTheatre.org. It’s another lunch hour in the main square, and two white-collar wannabe sharks are heading back to the office hustle. They have some concerns, though: Who’s watch is more prestigious? Is it possible to eat from a street vendor without looking like a hick? (Is that why they never manage to actually eat lunch?) And where did all the people go? Also: who is that man who watches them every day, and why does it feel so damn reassuring? Old-school Absurdism meets “The Office,” in a play about anonymity, surveillance and global consumer culture. The Eyes of Others won the Shumen new play contest in Bulgaria and was selected from among hundreds of international plays to be read at the Lark Play Development Center’s 2012 hotINK Festival in New York. In September it becomes the first Bulgarian play to receive a major New York production. Thanks to a generous Trust for Mutual Understanding grant awarded by CEC/ArtsLink, both playwright Ivan Dimitrov and translator Angela Rodel will join the creative team for the rehearsal process to further develop the play and refine its translation. The design team includes David Arsenault (Set Design), Anna-Lee Craig (Sound Design) and Max Doolittle (Lighting Design). A pre-show panel discussion on Translating for the Theatre will take place at 5:30pm on Saturday, September 8 before the 7:30pm performance. Facilitated by Trust for Mutual Understanding Program Director Barbara Lanciers, the panel will focus on the challenges and joys of moving the play from Bulgarian to English, and preparing the play for New York audiences. Participants include playwright Ivan Dimitrov, director Samuel Buggeln and translator Angela Rodel, joining in via Skype from Sofia, Bulgaria. Ivan Dimitrov was born in 1983 and graduated with a degree in Bulgarian Philology. His short stories were nominated for the debut book prize of the Ars Publishing House and his play Separation at First Sight was one of five nominees for the Slavka Slavova chamber play competition in 2010. He is the author of Local Foreigners, a book of short stories, and the novel Life as a Missing Spoon. 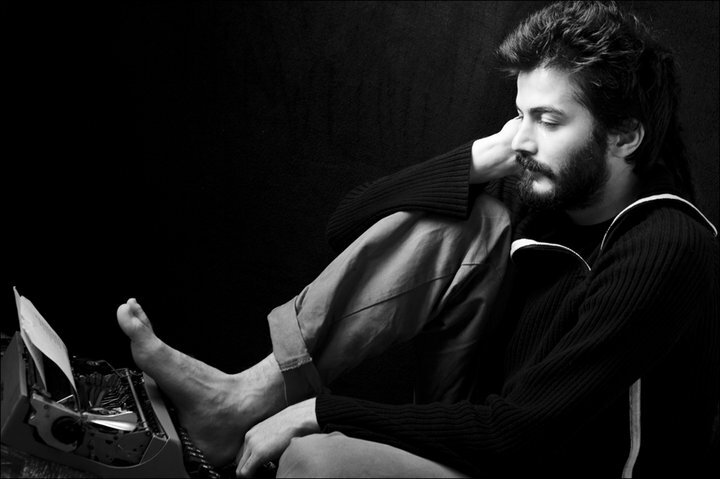 Dimitrov’s poetry placed him as one of the top five writers in the Sofia Poetics Festival in both 2010 and 2011. Samuel Buggeln is the founder of Bug Company and a long-time Artistic Associate with the New Ohio Theatre and its Obie-winning predecessor Soho Think Tank. His work at the Ohio includes Cressida Among the Greeks, which was nominated for a Drama Desk Sound Design Award, as well as The Flight of Icarus, The Last Days of Madalyn Murray O’Hair, the Off-Broadway Premiere of Conor McPherson’s Rum & Vodka, and Hater, his own translation of Moliere’s Le Misanthrope. His other new work developed and directed in New York includes Bedbugs!! !, an 80’s hair metal sci-fi musical that was the recipient of 5 jury awards from the New York Musical Theatre Festival, and Go-Go Kitty, GO!, which played at the Lucille Lortel Theatre as part of FringeNYC and received the Best Play FringeFirst citation. Angela Rodel is a literary translator living and working in Bulgaria. She holds a B.A. from Yale and an M.A. in linguistics from UCLA. She received a 2010 PEN Translation Fund Grant for Georgi Tenev’s Holy Light. Her translation of Milen Ruskov’s novel Thrown into Nature was published by Open Letter Books in 2011. Bug Company is a fledgling producing organization devoted to exploring translation in performance as both a practice and an idea. Bug Company’s first theatrical venture was Hater, director Samuel Buggeln’s faithful yet unconventional translation of Molière’s Le Misanthrope, produced at the Ohio Theatre in 2010. The show featured Emmy nominee Merritt Wever, Zoë Winters and Noah Weisberg. The New York Times said of the “gleeful” Hater that it “wields a rapier… [and] nicely twists the blade.” Hater, along with Buggeln’s introduction, is slated to be published in The Mercurian, an academic journal of theatrical translation. The two-time Obie Award-winning New Ohio Theatre has a twenty-plus-year history producing and presenting the most exciting, sophisticated, irreverent and boundary-busting downtown theatre. From their new home in New York’s West Village, they fulfill a distinctive need in the theater community, presenting works and supporting artists who challenge the mechanics of traditional narrative to create theatre that is both deeply humane and utterly fresh. The space is accessible from the #1 train to Christopher Street or the A, B, C, D, E, F or M train to West 4th Street. For more information on the New Ohio Theatre visit www.NewOhioTheatre.org.